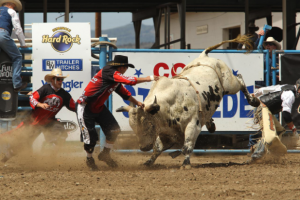 Plan ahead for Cody Yellowstone events like the 100th anniversary of the Cody Stampede. Additionally, Cody is one of those destinations that is best experienced with a little advance planning, especially in the summer. While you can certainly adjust your schedule – visit the Buffalo Bill Center of the West when the weather is iffy instead of going on a planned hike, for example – it’s best to line up lodging and obtain advance tickets to popular events like the Cody Nite Rodeo and Dan Miller Cowboy Music Revue. 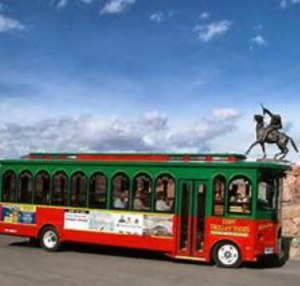 Another good way to spend time in Cody is the one-hour Cody Trolley Tour, which provides useful and entertaining information about the Cody Yellowstone, the home of the Great American Adventure. That’s why the USTA is once again organizing the National Plan for Vacation Day, when workers are encouraged to allocate at least some of their vacation days. The one-day event is part of the organization’s “Project Time Off” initiative, a year-round effort to encourage workers to travel. Next year’s event is Tuesday, January 29. USTA is once again offering a planning tool that helps workers proactively plan their fun days. Why wait, though? Workers can use the tool anytime to “get to know the upside of downtime,” as the USTA site says. I used the tool for the first time earlier this year when planning my own vacation. I took a week-long trip into Yellowstone National Park and participated in one of the multi-day vacation options offered by a Cody Yellowstone tour operator. Using the tool was easy and fun, and it encouraged me to think about the kinds of experiences I wanted. 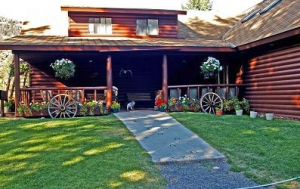 There are many hotels, inns, campgrounds and guest and dude ranches throughout the region, and Corrie advises travelers to book spots in advance, especially for summer-season vacationers. As the Christmas season heats up and gift-buying is in full swing, don’t forget to give yourself the gift of time and plan your next vacation in Cody Yellowstone. After all, you earned it. Until next time, I’m planning my days off and loving life here in Cody Yellowstone.